New! 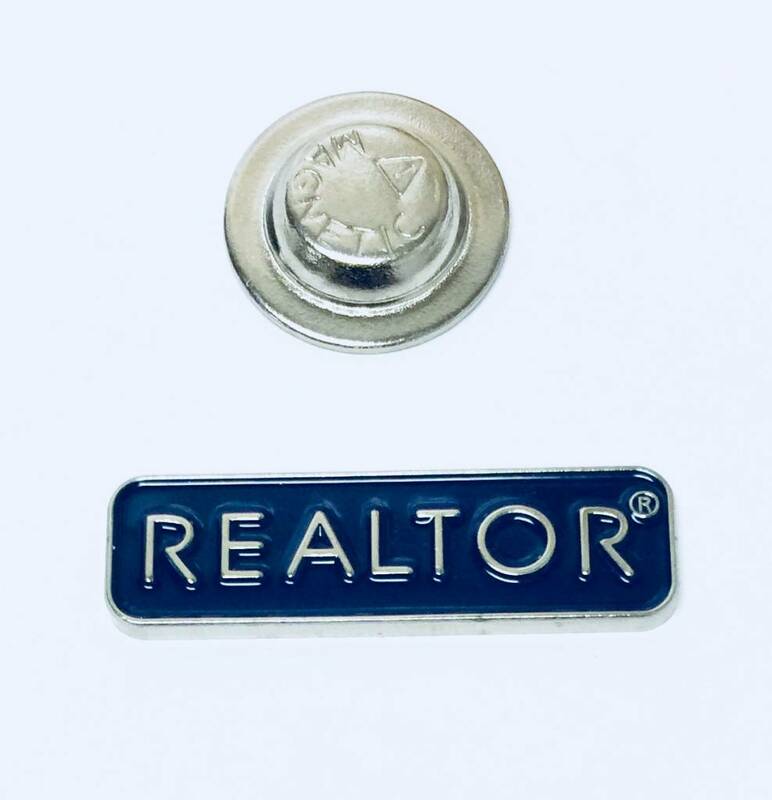 Horizontal Pin w/the Trademarked word "Realtor" raised in Silver tone over a "Realtor" Blue Background. Magnet Backed. 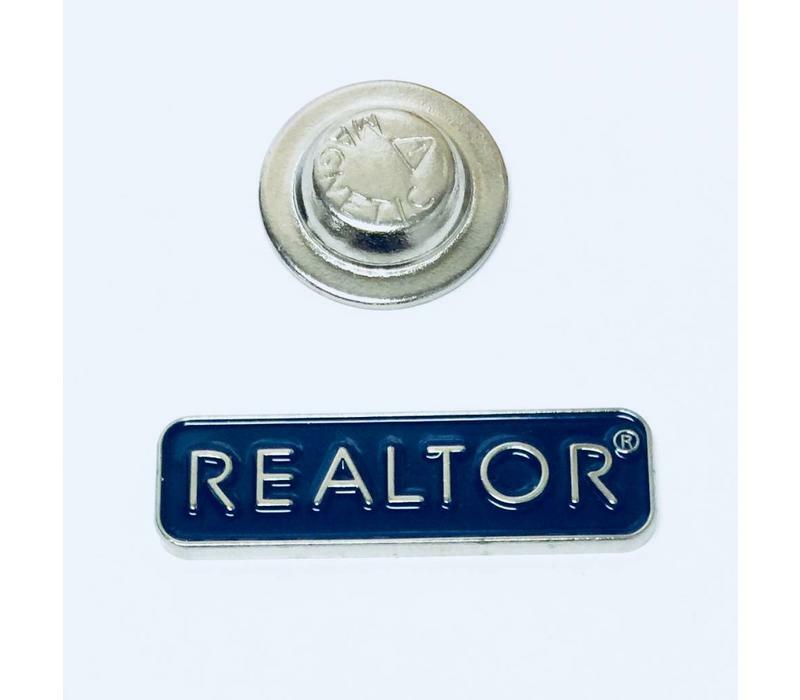 Pin is 3/8" tall x 1-1/4" long.